Many of our Trees and Plants are sourced from the SOWN Nursery in Brisbane, and Paten Park Native Nursery, also in Brisbane. Both nursery specialise in native plants and trees. SOWN has a focus on creek and waterway regeneration, and Paten Park has a wide range of native plants, tree, rushes and bush tucker plants. 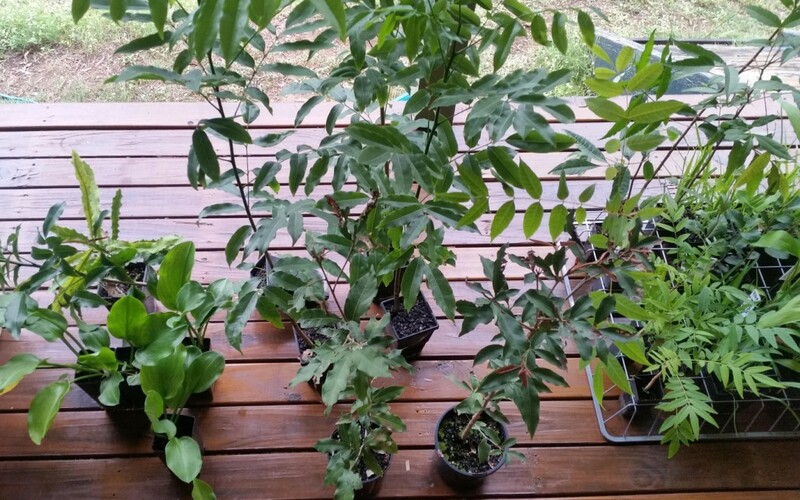 We also regularly visit one Brisbane commercial nursery as they often have specials on native plants and trees. Our aim is to stick to ‘local’ native species when planting out around the property in remnant areas. But we also target rare and special native plants that we plant in the area around the house. This includes Callistemons, Grevilleas, Melaleucas,Native Violets, and Native Rushes.